The Cocoanuts marks a lot of firsts on my Top 100. It’s the first Marx Brothers film to make the list (and this is the first of FOUR, that’s right, FOUR, can you guess the other three?). It’s also the first time a Marx Brothers’ film has made it into any of my top 100 lists. 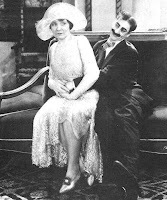 The Cocoanuts and the Marx Brothers films in particular are the first beneficiaries of changing to the “Film’s I Can’t Live Without” system. In years past, I was hesitant to rank any of the Marx Brothers films in a “Best” list, because the films are full of faults, some a problem of writing, and some a product of being in the infant stages of film (it came out in 1929 for heaven's sake). The plots are basically non-existent, the direction, sound and editing are all sub-par. In fact, the pace of the films at times will screech to a halt for random musical interludes. The Cocoanuts in particular suffers from some very dated musical numbers (musical numbers were common to all films of this period), that as a modern film viewer, I have a hard time looking past, without hitting the fast forward button. Couple this with all the technical problems expected of the early sound films (a camera that never moves, spotty soundtracks), and how could anyone place these films on a “Best” list? Fortunately in switching to the new format of, “Films I Can’t Live Without”, I opened the door for all types of genre films to find a place, even if they have severe faults. Although the Marx Brothers can be labeled in the genre of comedy, they really inhabit their own sub-genre of comedy all unto themselves and The Cocoanuts is one of the best examples of their particular brand. While it isn’t as polished as some of their later work, some of my favorite Marx Brother’s routines of all-time are in this film. There is an excellent Harpo pick pocket sequence that must be rewound and played several times to appreciate fully (as much of their best work requires), as well as the infamous “Why a Duck” routine between Chico and Groucho, where the puns and entendres are flying a mile a minute. I think the “Why a Duck” routine is one of the funniest comedy bits ever produced and it’s truly the standout piece of the film. There is also some great stuff at an auction and at a later wedding engagement ceremony (Harpo gets some real moments to shine here). Filled with puns, double entendre, non-sequiturs, and absurd antics, The Cocoanuts is a film I would not want to live without. For those not familiar with The Marx Brothers comedies, I suggest that you give them a few chances to get used to. It’s not easy to pick up on all the humor right away (I suggest subtitles, but you should always be watching with subtitles anyways right? ), as it took me several viewings to really begin to enjoy the characters and situations that Groucho, Chico, and Harpo have crafted here (Charlie Chaplin comedies can be much the same way). For your first Marx Brothers comedy, don’t start with The Cocoanuts, I suggest you choose the highest ranked Marx comedy on my list (which will be revealed in time). Whatever you do, just give them a chance. Hopefully, you’ll enjoy them so much, you won’t be able to live without them too. Enjoy this small clip taken from the film. Its not the best sequence they have written (not even the best in the film), but it gives you an introduction to them. Be on the lookout for one of my favorite lines, "Don't throw that, thats only for long distances"